I am pretty much always up for more Avatar, so getting this graphic novel was a welcome treat. 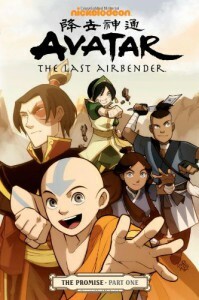 This serves as a bridge (or the start of one, at any rate) between the first series and the upcoming Legend of Korra series. My only real complaint is the length of the book, or lack thereof. The second volume doesn't come out until May, which is a frustrating wait.